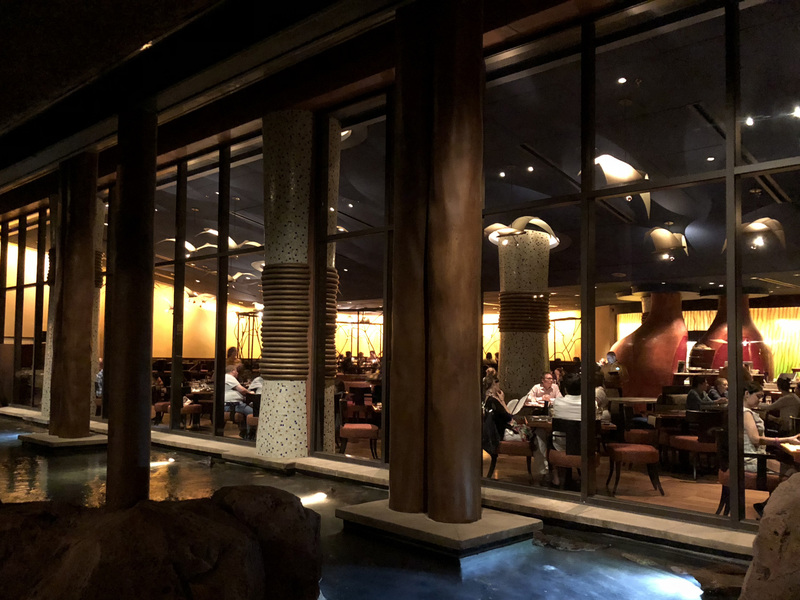 Our readers consistently rank Jiko among the 5 best restaurants in Walt Disney World - it took the #1 spot in 2016 and 2017. Jiko has won numerous other accolades (including AAA’s Four Diamond Award) for its interesting fare and stellar wine list — one of the largest collections of South African wines in any North American restaurant, with more than 1,800 bottles. The dishes are beautifully spiced and full of flavor. Start with the Taste of Africa dips and warm bread,and wrap up with Ghanaian chocolate and Kenyan coffee pot de crème, ora cup of Kenyan press-pot coffee or a specialty tea. Special menus are available for the glucose- and lactose-intolerant, vegans, and vegetarians. 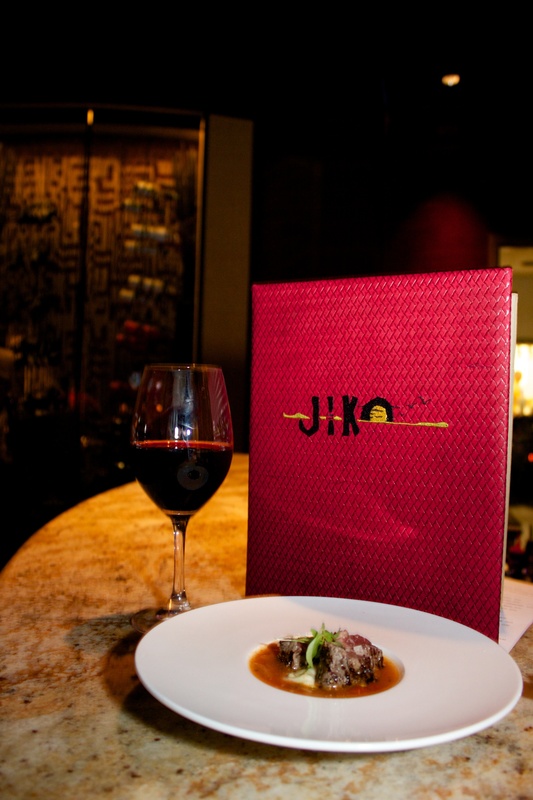 Our favorite way to experience Jiko is to order many appetizers and deserts and skip the entrees. You'll get to sample a wider range of flavors and save around $20 per person at the same time. It's also plenty of food, especially if you order the bread service to share. Jiko is listed on the OpenTable website and app. 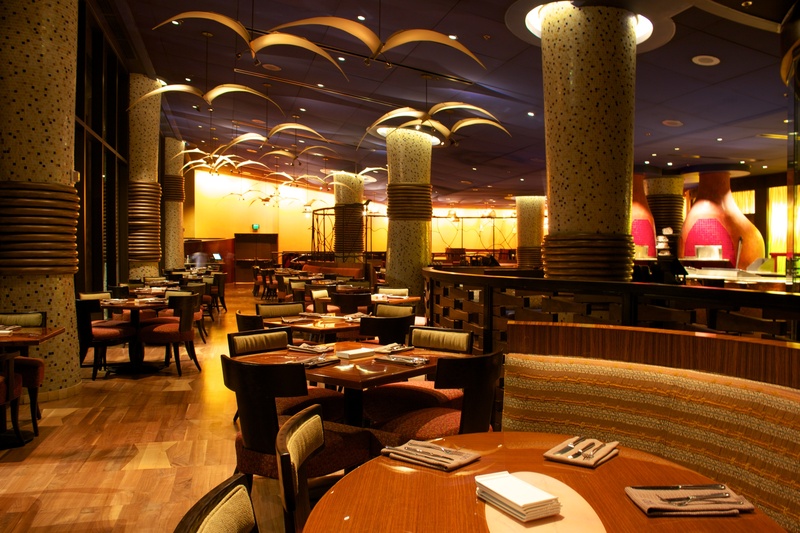 Reservations are often available on OpenTable even when they're not on the Disney site. In addition, there's no cancellation fee with OpenTable reservations. Downstairs from the lobby, young African exchange students greet guests as they enter a dining room with decor inspired by the opening scenes of The Lion King, with a flock of white birds appearing to fly overhead. The room’s lighting subtly progresses from sunrise to sunset several times during the evening. A pair of large wood-burning ovens — the Jiko — dominates the center of the room. African and subcontinental spices abound. Garam masala sea scallops; harissa-spiced chicken; chermoula-rubbed Colorado lamb shank with chickpea-cumin dumplings; African-inspired dips and breads; oak-grilled filet mignon with South African red-wine sauce; maize-crusted catch of the day. Braai macaroni and cheese with chakalaka and house-made sausage; halibut; Nigerian-spiced pork shank with confit vegetables. Avoid the salads, which are just average. The kids’ menu includes grilled chicken breast, grilled steak, fish, pizza, and mac and cheese. 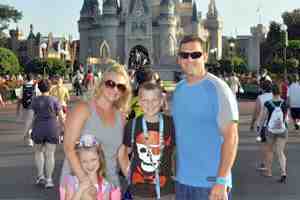 Ranked #4 out of 221 at WDW.